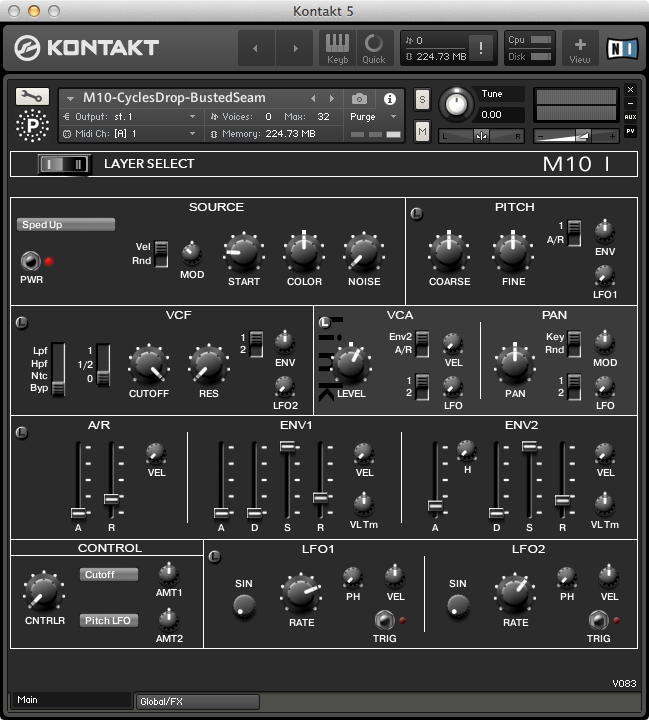 Particle Sound has announced the release of M10 I, the most recent offering in the Carbon series of Kontakt 5 formatted vintage synthesizer instruments, featuring 741MB of 24-bit samples from the Korg MS-10 analog mono-synth organized into 31 NKI based presets. Little brother to the famous and now reissued MS-20, the single oscillator MS-10’s cheaper price provided many budding musicians an achievable entry into analog synthesis during it’s day. Don’t let it’s simple nature fool you though! The MS10 is a fantastic sounding synth and the unit sampled here is a particularly unruly and slightly unstable beast that often sounds like it is just on the edge of falling completely over into chaos. Deep tubby basses, ambient leads, resonant sweeps and distorted soundscapes are some of the kinds of sounds on offer here and in addition to the fully sampled patches we have included individual waveforms and noise for the greatest possible flexibility. 741MB (uncompressed) of 24-bit samples from the Korg MS-10. 31 tagged NKI based presets featuring tubby basses, noisy poly-synths, ambient leads, resonant sweeps and dissonant soundscapes. 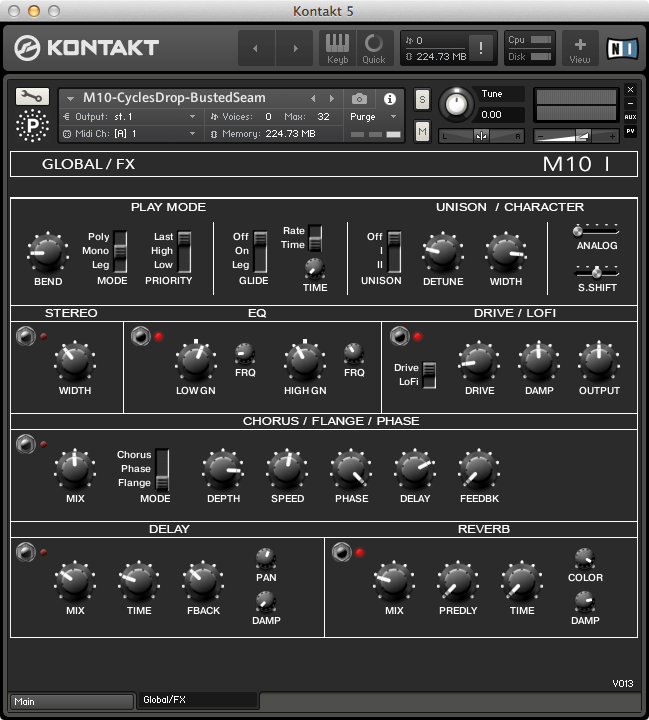 M10 I is available for purchase for the introductory price of $5.99 until May 21st, 2015 (regular $10 USD). Requires full retail version of Kontakt 5.4.1.211 or later.